As usual I made two projects with this kit. The first one is a mini album. I used Ballet Marci for the front. The front also has a shaker element. I added lots of stickers, flowers and embellishments around the shaker. Papers used are from Echo Park. The second project made is a picture frame. I cut a few layers of Build-a-frame dies and put together this frame. I coloured all three cute bears and then fussy cut them. 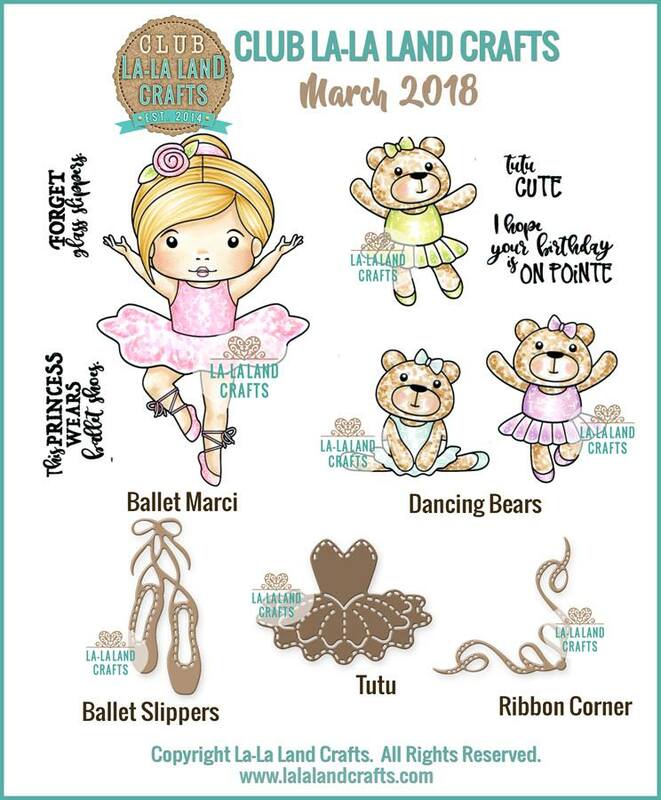 Sentimentcomes with the Ballet Marci stamp.